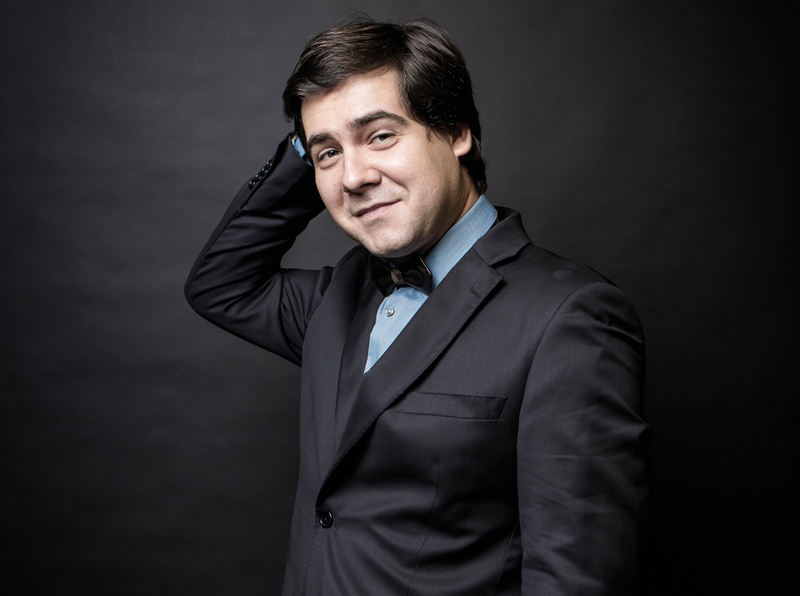 Winner of the coveted gold medal and all special prizes at the fourteenth Van Cliburn International Piano Competition in 2013, Vadym Kholodenko had previously drawn international critical attention thanks to the first prizes won in Sendai (Japan), at the “Maria Callas” Competition in Athens and at the “Schubert” Competition in Dortmund. Born in Kiev in 1986, he studied at the Moscow Conservatoire under the tutelage of the great Vera Gornostaeva. Acclaimed in the current concert scene among the most technically gifted and musically interesting pianists of his generation, Kholodenko was named “Artist in Partnership” of the Fort Worth Symphony Orchestra as well as “Artist of the Month” by Valery Gergiev for a residency at the Mariinsky. He boasts collaborations with the most important orchestras, from the Royal Philharmonic Orchestra of London to the Tokyo Metropolitan Symphony Orchestra, as well as with conductors like Yuti Bashmet and Vladimir Spivakov. Highly sought-after for concert seasons and festivals worldwide, Kholodenko is also very active as a chamber musician and boasts an intense recording activity. His recent Scriabin CD recorded for Harmonia Mundi at the Fazioli Concert Hall was awarded by the critics with the prestigious Diapason d’Or. Impeccable, tasteful and vibrant, and also something more: imaginative.